I watch the terror attacks that take place in my country Israel and all around the world. I see the photos in the media; Crying children, grieving parents, traumatized victims, the look of pain and fear on their faces. The media wants our attention and our sympathy. But is attention and sympathy enough? Menachem Begin, leader of the Irgun Jewish fighting force and former prime minister of Israel said the world does not pity dead Jews but it must deal with fighting Jews. The same is true of all people. Stand up for yourself and you will be respected. And today we ask for sympathy. Yes, that may seem cold and callous but that is how a true warrior thinks. Warriors do not ask for pity. This is not how war is conducted, this is not how we prepare to prevent the next tragedy. Tears can only go so far to put out the flames of hatred. No one respects the weak. In the 1920's the great Jewish leader Ze'ev Vladimir Jabotinksy of Odessa wrote a controversial piece, "Jews, Learn to Shoot!" 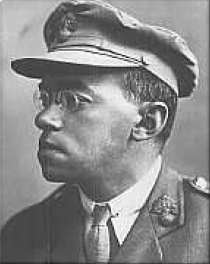 Jabotinsky was fluent in at least eight languages, so no one could say they did not hear the message. They heard but they ignored. The result: The Holocaust, the Shoah, the Burnt Offering to Heaven. The penalty for deafness is death. We see the tragic images. Either we turn away because we can no longer handle the pain or we cry. Neither is of much use. I just heard today from my friend Ze'ev that Israel will reinstate the guards on public buses due to recent attacks. "Reinstate"? Why on earth did they ever discontinue them? Has the Messiah arrived on his white donkey? Why are we always responding to the latest attack instead of anticipating the next one? The great Jabotinsky saw the Holocaust coming, as did others. He traveled the world crying out his warning. Those who listened lived. The others: We know what happened. The rabbis tell us, "Who is wise? He who can see the unborn." To survive we must be wise. Dr. Max Nordau (1849 - 1923) Zionist leader. Before Jabotinksy was Nordau. 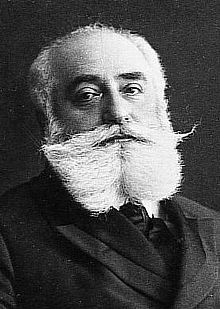 Max Nordau was raised Orthodox but sadly failed to see its beauty and tried to fully assimilate into the non-Jewish society. Like Dr. Herzl Dr. Nordau returned to his people after witnessing the Dreyfus affair. 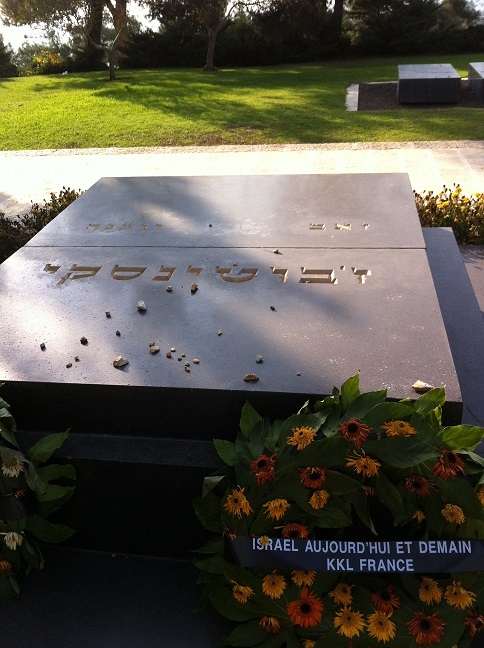 A turning point took place in Paris when he heard the angry mob cry out "à morts les juifs!" He gave up his idea of assimilation. Dr. Nordau realized that Jewish rights would not come via enlightenment, as he had hoped. He coined a new phrase Muskeljudentum (Muscular Judaism). Nordau saw the promotion of muscular, athletic Jews as a counterpoint to such depictions of Jews as a weak people. The great Max Nordau guided the younger Jabotinsky, and Jabotinksy taught Menachem Begin and Yitzchak Shamir, future prime ministers of Israel. And they taught Binyamin Netanyahu, current prime minister of Israel. (his name means "Son of my right hand", "God has given"). It is time we listen. Do not react; anticipate. Do not respond; plan. So tragedy strikes, and new measures are taken. Add security guards, more police. But what about us? What about the common folk? What should we do? Our organization IKI, was formed for this reason. To provide training for all, regardless of background, financial status, physical shape or color. We answered the call because there was a lacking, an empty space. We did not come to take but to give. And no one has ever been turned away for lack of money and no one ever will as long as I live. Our Krav Maga is unique. Our policy is that every technique must be: Easy to learn, easy to apply in multiple situations, easy to remember. Every technique is tested again and again. We distill our techniques down to the basics, using your primal instincts and natural body motions. Tragedy strikes and we look to others for help. Where were the police? Where were our leaders? But in Israel we know that the first line of defense is us. In most cases the first responders are not on-duty cops or police but our nation of warriors; regular people who are always on guard! We the people stand as the first line of defense. IKI stands for Israeli Krav International but we can add another meaning to the letter I. Let it stand for I, me, the individual. For it is I who must respond first and it is I whom I must look to. Before you look to others look to yourself. Ask what you can do. Let us make a commitment that we must train the "I" better. I must be prepared as best as I can. Before I look to others I will look to myself. Before I have expectations from others I will have higher expectations from myself. 1941...Tuvia Bielsky, just a farmer, an uneducated Jewish man, one of 12 children living in a small village in Belorussia. But tragedy struck, Operation Barbarossa, the largest invasion in the history of warfare.The Wehrmacht was taking over the USSR, the fate of the Jews was sealed. Where were our leaders? Bielsky did not ask, he acted. In the forests of Belorussia he saved 1,200 Jews and he fought back against the Nazis. He looked not to others but to the "I", to himself. What can I do? This is the question. Today we need Krav Maga, for the masses, not just for the athletes. When I travel around the world to teach Krav Maga seminars friends back home ask me, "Who are you teaching? Soldiers, police?" Yes, I am teaching them but I am also teaching you, the regular man or woman because it is not only the police who need training, you and I need training. For I might be the first responder in the next attack. And God called out to Isaiah, and Isaiah responded, "Here I am, send me." 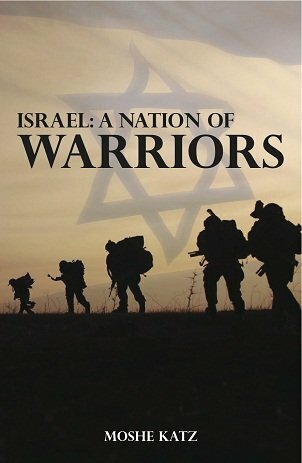 The story of a nation of warriors from the time of Abraham to the modern day Israeli citizen/soldier. We currently have instructors in 35 countries but we need more. We are looking for caring responsible candidates to train to be instructors.